Work harder, not just for yourself, but for those that believe in you. 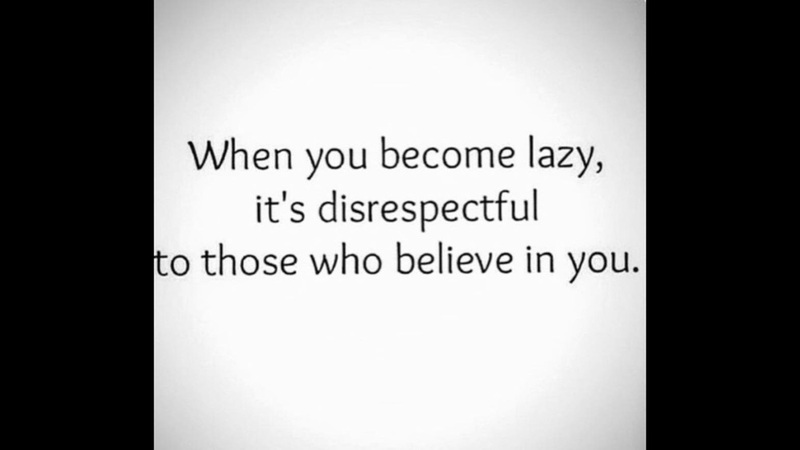 Lazy is not just the act of "skipping", it's truly the act when you know you can do more to be better but you're making the decision to do else wise.. Step up, we can all be better.